Référence bibliographique : Anthony Cordingley et Céline Frigau Manning. Collaborative Translation: from the Renaissance to the Digital Age, Bloomsbury Academic, collection "Advances in Translation Studies", 2017. EAN13 : 9781350006027. For centuries, the art of translation has been misconstrued as a solitary affair. Yet, from Antiquity to the Middle Ages, groups of translators comprised of specialists of different languages formed in order to transport texts from one language and culture to another. Collaborative Translation uncovers the collaborative practices occluded in Renaissance theorizing of translation to which our individualist notions of translation are indebted. Leading translation scholars as well as professional translators have been invited here to detail their experiences of collaborative translation, as well as the fruits of their research into this neglected form of translation. This volume offers in-depth analysis of rich, sometimes explosive, relationships between authors and their translators. Their negotiations of cooperation and control, assistance and interference, are shown here to shape the translation of prominent modern authors such as Günter Grass, Vladimir Nabokov and Haruki Murakami. The advent of printing, the cultural institutions and the legal and political environment that regulate the production of translated texts have each formalized many of the inherently social and communicative practices of translation. Yet this publishing regime has been profoundly disrupted by the technologies that are currently revolutionizing collaborative translation techniques. This volume details the impact that this technological and environmental evolution is having upon the translator, proliferating sites and communities of collaboration, transforming traditional relationships with authors and editors, revisers, stage directors, actors and readers. “A ground-breaking collection by both rising and confirmed stars in the field. Questioning "the trope of the solitary translator" from a wide range of perspectives, several of these essays are destined to become classic references. Required reading for anyone wanting to know how cooperation and confrontation have shaped translations from the European Renaissance to our digital age.” – Rainier Grutman, Professor of French and Translation Studies, University of Ottawa, Canada. “Translators are constantly in conversation – with their authors, with each other, with other stakeholders. 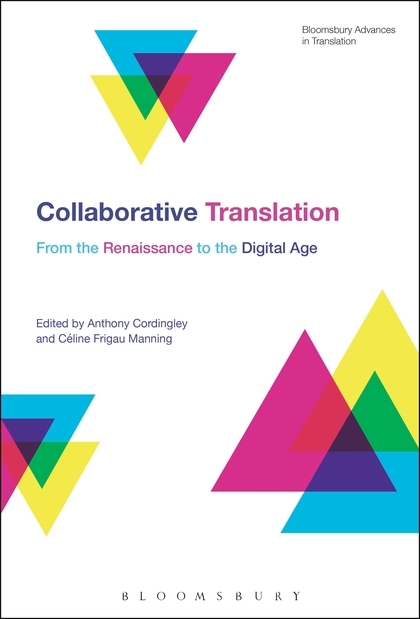 This scintillating collection engages in detail with some of the many facets of collaborative translation, from the ways authors debate with their translators to the dynamics of translator collectives, from crowd-sourcing and institutional agendas to an ecological vision of shared translation in the future. A very timely book.” – Theo Hermans, Director of the Centre for Translation Studies (CenTraS), University College London, UK. “This thought-provoking volume makes the work of translators 'visible' in a somewhat unexpected way by decentering it and highlighting its intrinsically social and interactive dimensions. The book maps different degrees and modes of collaboration across a range of languages, periods, genres and technologies, drawing on various complementary theoretical approaches to enrich the discussion. It makes for fascinating reading for scholars and students of translation but – by the very nature of the project – also reaches out to anyone interested in the issue of authorship in the widest possible sense of the term.” – Dirk Delabastita, Professor of English literature and literary theory, University of Namur, Belgium.